First, a disclaimer: I hate beetroot in its natural form. When I see boiled or steamed beetroot in a salad, I wrinkle my nose and shove it to the side, reviling the person who put it on the plate. And if, indadvertedly, a piece of beetroot makes its way onto my fork, the eating is really not pleasant. I don’t like the smell of beetroot; I don’t like the texture of beetroot – I never have and I don’t think I ever will. But you know what? I keep buying it, week after week. Why? Well, beetroot is a powerfood unlike any other. It’s high in iron, magnesium, phosphorous and calcium. It boasts lots of fiber, vitamin A, vitamin C, folic acid and niacin. Beetroot also features antioxidants and phytonutrients (betalains) and has been shown to support digestive health, cardiovascular health, endurance (check it out), and even brain function (note this study)! But that’s not the only reason I buy it, no. I buy it because while I hate beetroot in its natural form, I LOVE it in baking. Yes, I don’t just like it, I LOVE it. 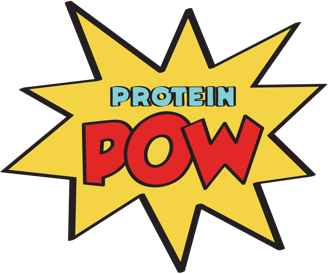 I love it because it bestows a fantastic texture to sweet foods, especially those containing protein powders! All that makes beetroot nasty (to me) in its plain form disappears when you bake it and it’s a double win really: you get all the health and performance benefits of beetroot AND you get to enjoy all the wonderfulness it lends to protein foods. Of course, it may be that your hate of beetroot cuts so deeply that even the slightest hint of its existence turns your stomach. That’s OK. I still urge you to try this recipe! It’s the only way you’ll find out whether you, like me, can both HATE and at the same time LOVE the oh-so-controversial beet. Blend ALL the ingredients together and bake at 160 C (320 F) in a mini loaf pan like I did for about 35 minutes or until your knife comes out clean when you stab them. If you don’t have a mini loaf pan, that’s cool – just use some muffin tins! Soft, moist, toffee and hazelnutty deliciousness with a hint – a mere hint – of beetroot sweetness and nom nom nom derommmmm .